How do I Build a Privacy Screen? 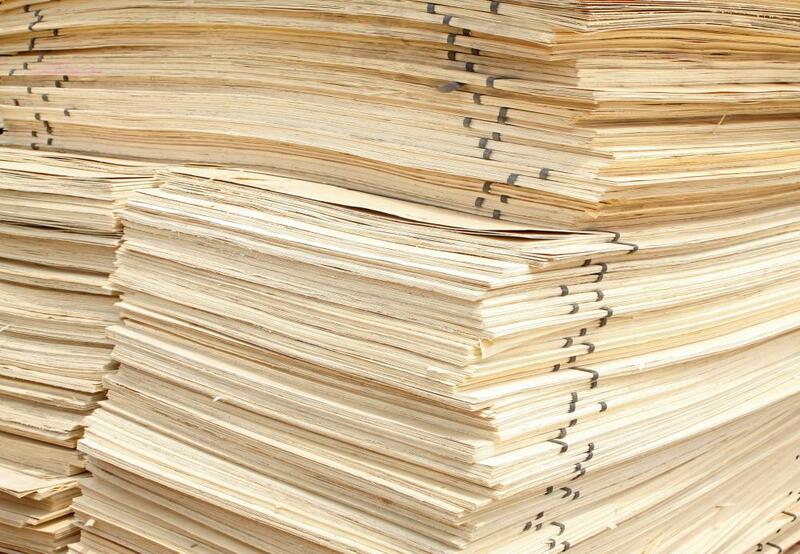 Stacks of plywood sheets, which can be used to make a privacy screen. Privacy screens are practical devices that may be used in the home or the backyard. As the name implies, the main function of a privacy screen is to provide some degree of privacy when required. It is not unusual for a screen of this type to be placed in the corner of a bedroom to create a private dressing area, or in a large rectangular room as a room divider. A garden privacy screen can also help make a back yard cozier by blocking the view of neighbors or people passing by the property. Here are two simple designs for indoor and outdoor screens that just about anyone can build. A simple privacy screen for the bedroom can begin with nothing more than three rectangular panels, some crown molding, batting, a fabric cover, a stapler, and a nail gun. Pick up a total of six sets of hinges; this will make it possible to secure the three panels together and make a complete partition that can be positioned to stand on its own. 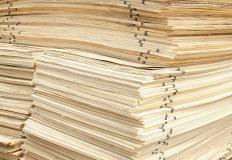 For the panels, buy three sheets of plywood from a local lumberyard or building supply store. Make sure the sheets are thick enough to stand upright without warping over time. Cut each of the three panels to the height you prefer. For a dressing screen, you may want to cut the panels so that it is still possible to look over the top and carry on a conversation with anyone else in the room. When the device will be used for a room divider or partition, adjust the height so it is somewhat near to the height of the ceiling in the area where the screen will be used. You can go with a simple straight cut or use a hobby saw to create a scalloped look to the top of each panel. Next, cover each panel with batting. Staple the batting into place. The batting will add a touch of softness to the privacy screen. Cover the batting with the material of your choice and staple the fabric into position. As a final touch, use the crown molding around the edge of each panel, securing it into place with the nail gun. Once the three panels are completed, attach them with the hinge sets. Ideally, you would want to attach three sets of hinges to both the left and right sides of the middle panel, then attach the other panels to the hinges on each side. Once the hinges are secure, fold the privacy screen and transport it to the room where the device will be used and move it into position. For an outdoor privacy screen, you can go with multiple panels or create one long panel that is attached to your fence. An easy option is to purchase lattice panels and meld them into a single large panel. You can accomplish this by making a frame from two by fours. To give the screen a finished look, make sure to frame up both sides of the large panel. Spray-paint the panel to match the color of the fence, then attach it using heavy-duty nuts and bolts. In order to enhance the privacy, purchase a couple of running vines and plant them directly under the screen panel. As they grow allow them to run upward and weave in and out of the holes in the latticework. In a few months, you will have an outdoor privacy screen that is both practical and attractive. What Are the Best Tips for Backyard Privacy? What Are the Different Types of Complete Bedroom Sets? What is a Privacy Wall? How do I Repair a Patio Screen? What is a Folding Screen?